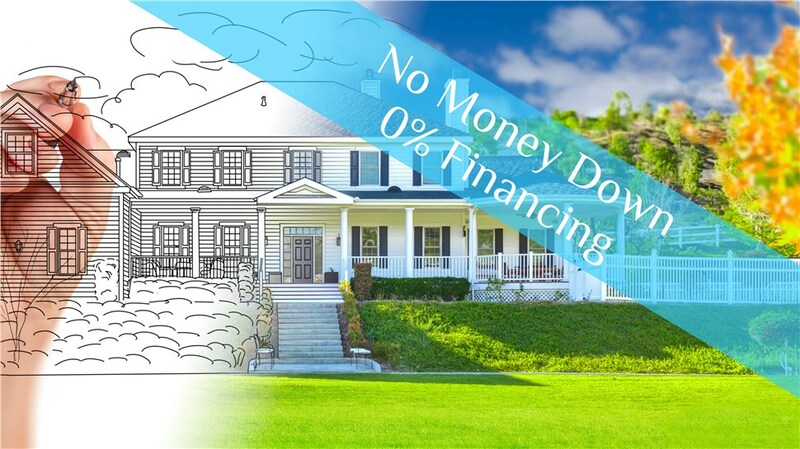 Mr and Mrs M replaced the roof on their Woodbridge Virginia home and they couldn't believe the extent of the difference a new roof made to their home! 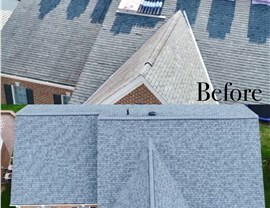 Here we have a bird's eye view before and after shot for comparison so that you can see the drastic difference for yourself! We used an Owens Corning Roofing System for this beautiful home thanks to our status as an Owens Corning Platinum Preferred Contractor. 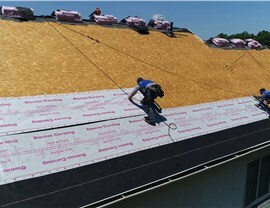 Only roofing contractors who meet the manufacturer’s exacting standards are selected for this prestigious designation. 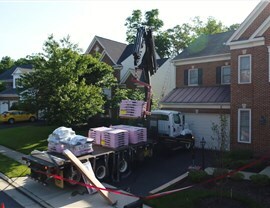 Roofers chosen as a Platinum Preferred contractor have met safety requirements and passed meticulous inspections of their workmanship. 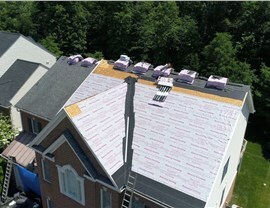 DreamHome is pleased to be among these elite roofing professionals. 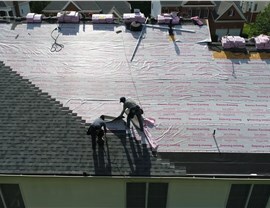 Our installers worked hard to meticulously take off the old shingles and lay out a new roof layer by layer. Here are a few of our favorite shots!